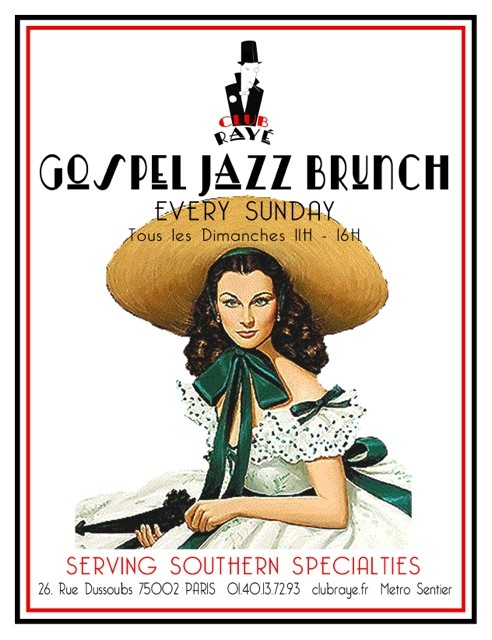 Paris Weekender - Caroline Nin and Gospel Jazz Brunch at Club Raye! Caroline Nin and Gospel Jazz Brunch at Club Raye! Only for the month of May, the very talented singer Caroline Nin will be performing on Saturday evenings! 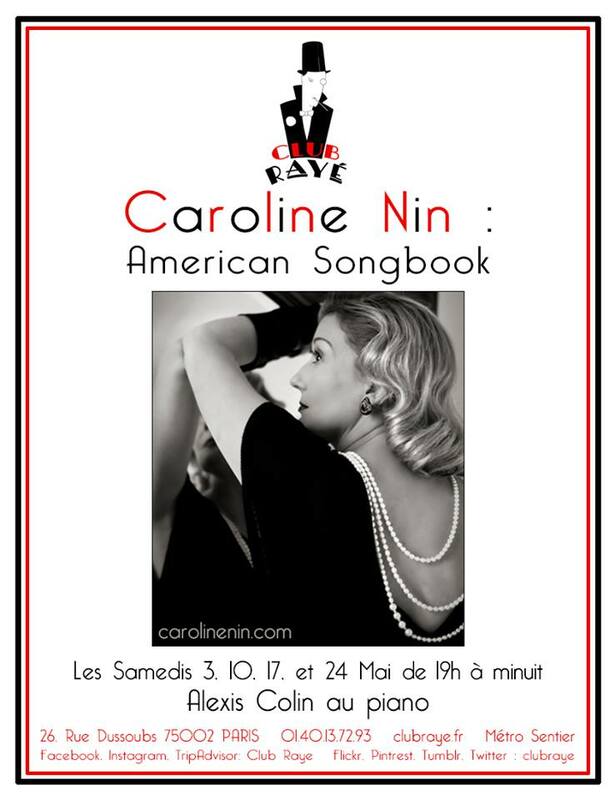 Caroline will be giving an exclusive preview of her American Songbook show before going on tour. See below for more information on Caroline and her concerts series. And more news–the piano bar is now hosting a Gospel Jazz Brunch every Sunday, complete with Southern cooking specialities! See you at Club Rayé! When Caroline was growing up in Paris, American music was played constantly on the radio. It was this music that became the backdrop to daily life in the French capital and inspired a young Caroline to pursue her passion to become a jazz singer. “Growing up, the radio was rarely off in our house and I became as besotted as the rest of the country by this new music I was hearing. I couldn’t understand a word of it but pretended I could sing it all,” laughs Caroline. Many years later, with a successful international career as a jazz and cabaret artist and an acclaimed, award-winning Edith Piaf tribute show, Caroline is making a return to her beloved American musical influences. Being French of course, LOVE is always a focus. The Thing About Love is a snap shot of the contemporary American song book from a uniquely French point of view. Giving her unique interpretations of American songwriters including Patti Smith, Lou Reed and, of course, France’s adopted own great American artiste Nina Simone, Caroline will present American Songbook favorites exclusively each Saturday night at Club Rayé before embarking on a six week international tour.